The two driver team will be piloted by 2016 Rookie of the Year, Anthony Geraci and 2016 PWC TCA Champion Elivan Goulart. Anthony and Elivan have driven together for many years with race winning synergy. Anthony was the Grand Prix of Lime Rock TC winner in 2016 with S.A.C. Racing. Elivan went on to win the 2016 TCA Championship. In 2017, Elivan had multiple wins and finished 2nd place in TCA Championship. In his TC debut, he won the TC race with KRÜGSPEED at Lime Rock Park. It will be each driver’s first season with the Ginetta GT4. The New York based team has been preparing race cars since 2002 and has been racing since 1995. They embrace their motto “Perseventia Victoria” – Victory Through Perseverance. 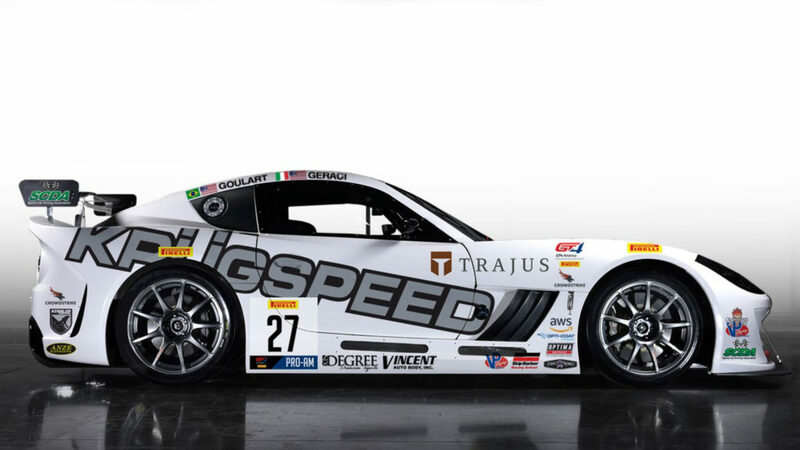 The KRÜGSPEED team will continue this season with ace engineer Wolf Kessler, Jim Locke, Chris Rallo and Quinn Goyette. For more information you can visit krugspeed.com or visit them on Facebook (@Krugspeed) or Instagram (@Krugspeed).